This small Auto-Lite Flange Porcelain Sign is a small 14″ by 14″. The sign is yellow and would mount to a wall outside of an Auto-Lite store or dealership. The text reads “Official Auto-Lite Service.” The words “Official” and “Service” and in white text inside of a navy circle. 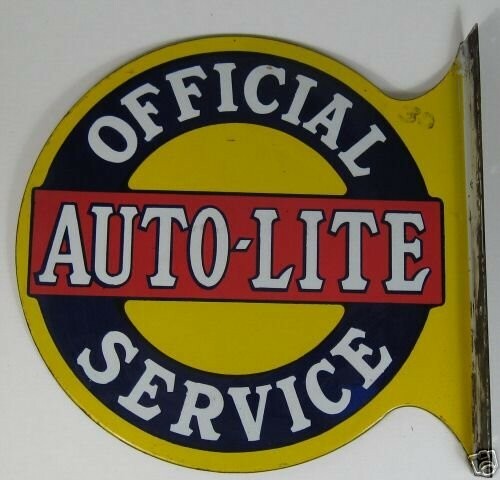 The word “Auto-Lite” is in a red rectangle that cuts through the navy blue circle.